The kitchen is one of the most important rooms in a house and even though it might not be the biggest, it surely holds the biggest number of products and items which are used for preparing foods and meals. The two main categories of products found in a kitchen are, of course, tableware and cookware. Many other kitchen essentials can vary in kitchen utensils, kitchen storage and kitchen accessories. At Jumia Egypt, we provide you with all the aforementioned products, if not more so that you can enjoy a complete and full kitchen experience. If you’re looking for kitchen tools and utensils, you can find things like deep dish for mixing, spatulas and cooking knives which are products that can also count as baking tools. Other products for cookware, as an example, can vary in saucepan, cooking pot, pan and other cooking products. Cutlery and tableware include forks, knives, serving trays, dishes and even glasses. 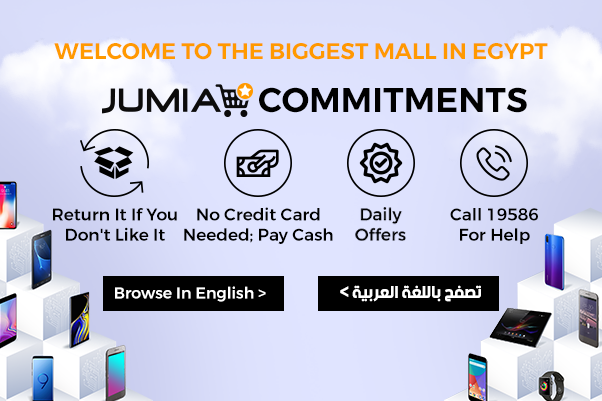 That’s not all, but how about we let you discover all the never-ending amazing products Jumia Egypt provides? Whatever you might be looking for to fill your kitchen cabinets or if you’re even looking for an actual kitchen cabinet, you can get it all here at Jumia Egypt. Enjoy the easy online shopping experience and get fast delivery as well as free returns.